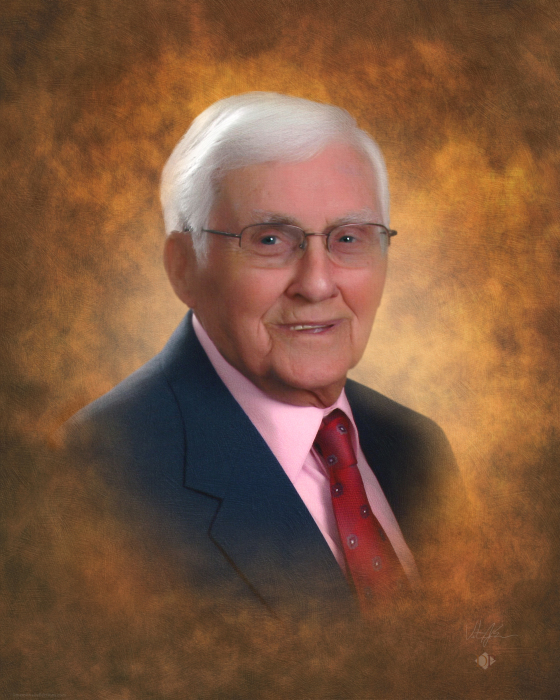 A memorial service for Elmo Hopkins, 92, of Swainsboro will be held ­­­­­­­­­­­­­­­­­­­­­­­­­­­­­­­Sunday, April 7,2019 at 3 p.m. in the chapel of Chapman Funeral Home with Reverend Mark Sweat officiating. Interment following in Harmony Baptist Church Cemetery in Soperton. He died Friday, April 5, 2019 at the Saint Joseph Hospital in Savannah, Georgia following a brief illness. Elmo Hopkins was born November 8, 1926 in Toombs County to the late Ullie Miles Hopkins and Susie Belle Logan Hopkins. Mr. Hopkins was a member of Hillcrest Baptist Church. He worked at Shop Rite Pharmacy until retirement. Along with his parents, Mr. Hopkins was preceded in death by wife Atelia “Tillie” Hopkins, one brother Barney Hopkins and a sister Letha Belle Rewis. Survivors include three sons; Ronnie E. (Carmen) Hopkins of Swainsboro, Kelvin Hopkins of Swainsboro, and Donnie G. (Maria) Hopkins of Sebring, Flordia; grandchildren, Chris (Marilynn) Hopkins, Beth (Tadd) Wiggins, Sheyna (Josh) Faulkner, Jessica Hopkins, Erika (Cody) Blackmon, Gennie (Steven) Woodard, Maura (Tommy) Braddock and Margaret Anne Garrett; 10 great-grandchildren, Jaxson and Lawton Wiggins, Banks and Luke Hopkins, Kaitlann Faulkner, Carter Hayes, Kyler Blackmon, Hayden and Ranford Case Rickey, and Grace Lynn Braddock; and a host of several nieces, nephews and many friends. The family will receive friends from 2 p.m. until 3 p.m. at Chapman Funeral Home Sunday. In lieu of flowers donations may be made to Nunez Baptist Church building fund, PO Box 96, Nunez, GA 30448. Chapman Funeral Home of Swainsboro in charge of arrangements.